RESIDENTS in flood-affected areas are warned to take precautions against biting insects. 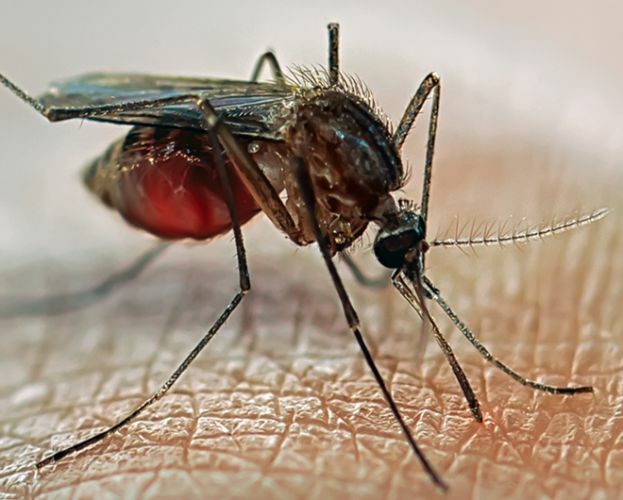 The Department of Health issued the warning, with fears an increase in mosquito activity could lead to an increased risk of mosquito-borne disease. The City of Swan is ramping up mosquito control across the region to help reduce the risk. Swan Mayor Mick Wainwright said recent rainfall and flooding had the potential to create an unexpected boom of mosquitoes. “The City’s environmental health technical officers are currently treating standing bodies of water (such as drainage basins) that are holding unusually high levels of water and monitoring flooded areas to identify high-risk breeding areas,” he said. “Even with additional measures in place, there is still a risk of higher than normal mosquito activity over the next few weeks. Department of Health managing scientist environmental health hazards Michael Lindsay said the wet weather and flooding had created ideal conditions for mosquito breeding. “While local government mosquito management programs are in place around WA, it is not realistic or logistically feasible to keep mosquitoes and biting flies below nuisance levels when such vast areas of the State are affected with the recent weather conditions,” Dr Lindsay said. He said symptoms included swollen or painful joints, sore muscles, skin rashes, fever, fatigue and headaches. “There are no specific cures or vaccines for mosquito-borne diseases in WA, so it is very important that people take care to prevent being bitten,” he said. For more information on controlling mosquitoes in your backyard visit www.swan.wa.gov.au.